Uzbekistan intends to attract the French Thales Alenia Space company to develop its own space and satellite industry, Uzbek media outlets reported. This became known following the talks between first deputy chairman of the Uzbek Senate Sadyk Safayev and vice president of Thales Alenia Space Eric Imbert held in France. The sides discussed issues of mutually beneficial cooperation in the implementation of projects in Uzbekistan, and expressed interest in joint implementation of initiatives on integrated space systems, including the organization of a technological base in the territory of Uzbekistan for training local specialists. The French company highly appreciated the measures taken aimed at creating conditions for the development of space science and the widespread use of its achievements in the country's innovative development, as well as the establishment and expansion of international cooperation in this field. In addition, representatives of the Uzbek delegation visited the Thales Alenia Space production facilities for assembling space satellites. Thales Group is one of the leading international industrial companies in France in the sectors of aeronautics, space, defense, satellite technology and air traffic control. It operates in 56 countries around the world. The average annual turnover is about 16 billion euros. The company has its own representative office in Uzbekistan. 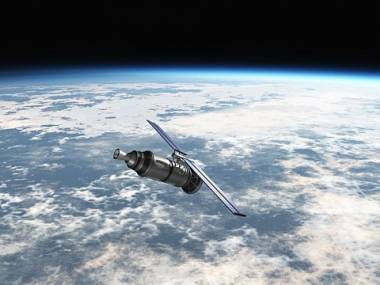 Earlier it was reported that Uzbekistan and Thales Alenia Space are negotiating the creation of the first Uzbek satellite, and are also exploring the possibilities of implementing a joint project to develop infrastructure for connecting the republic to the high-speed Internet network using space technologies.